It’s fun to be evil in a video game. Some will contest this, but there’s no question that games allow us to do things we’d never do in real life. I almost always choose to play an evil character when I can. The Elder Scrolls, Fallout, Fable – you name it, and I’m probably playing the “bad guy.” So it shouldn’t be too surprising that I was drawn to Lucius II: The Prophecy, a game in which you play as the devil’s son. It definitely delivers on the concept, but it stumbles on the execution. 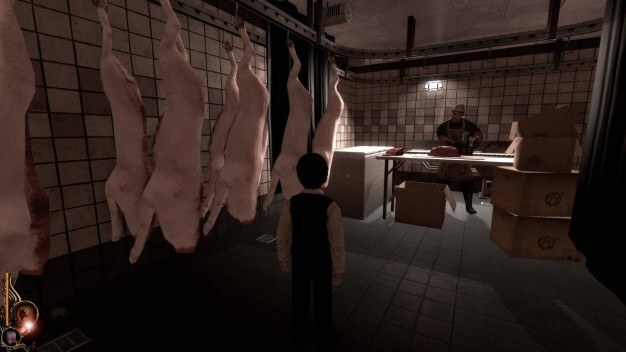 In Lucius II you play as the eponymous spawn of the devil. After the events of the first game, you are incarcerated in a mental ward. You get out soon enough, of course, and stalk through the hospital to learn about your father’s plans and the coming rapture. The story is narrated by Detective McGuffin (yes, really) who learns that he is tied to the devil’s plans and is meant to help Lucius. The story is hard to follow, especially if you skipped the last game, but the narrative isn’t the main attraction. Far from it, in fact; there’s very little of interest, making the rest of the game that much worse. 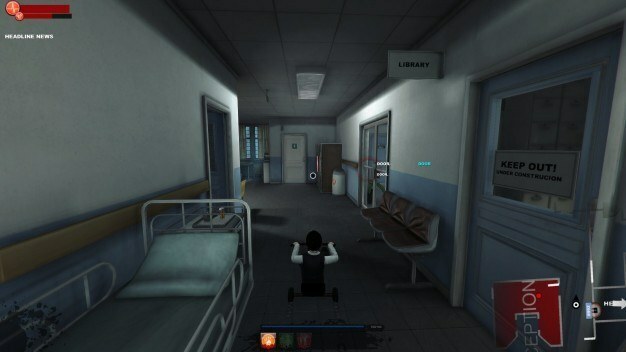 To travel around the hospital (and later a small town) freely, Lucius must kill the doctors, nurses, and others at the hospital without blowing his cover. That means you end up setting traps and then luring your victims into them. 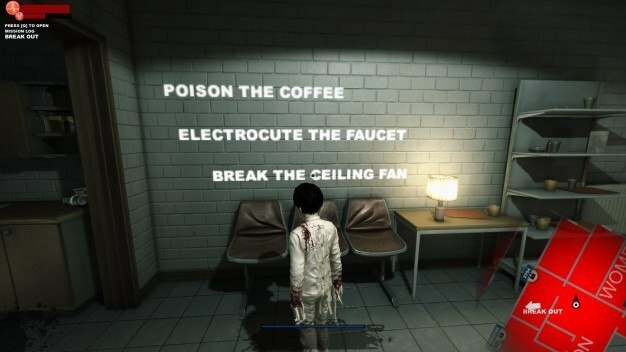 You can break air vents to expose wires, use a defibrillator to electrify the water pipes, ignite flammable chemicals, or poison your victims’ food. Later on you can get more creative, as you gain access to more tools for destruction. You also have a few additional abilities to help you out; it’s a shame that they rarely do so. As cool and dark as the concept sounds, the game really doesn’t work. The controls for throwing things and putting things in place are far too finicky, for one. Just picking up the right thing and putting it in place is a challenge, let alone trying to hit a target. You can lure a victim under a breakable vent, for example, but by the time you hit the vent with whatever you’re throwing to expose the wires, your victim has walked off. Any death trap that involves throwing will cause problems, and if you run out of projectiles, you have to find some more or go right up to your victims and grab them. Picking things up accounts for most of the gameplay; again, supernatural powers that you can unlock as you progress are very rarely worth remembering. Fortunately, for Lucius anyway, the NPCs are also quite stupid. As long as you get away from them before the suspicion meter goes all the way up, they’ll forget you ever existed. If you leave some food or a wallet in a dangerous area, they will happily walk right up to it and die. They’re never suspicious of random food, so it’s easy to poison them. If you just leave a puddle of water on the ground with a wire in it, somebody is bound to step into it eventually. This is useful because of the aforementioned difficulty in setting up traps, but it also kind of makes you feel like you cheated. With the limited number of effective traps early in the game, things get boring quickly. You will spend a lot of time with defibrillators if you want to get things done efficiently. Fortunately things do start to open up as you progress. And when things go right, it’s immensely satisfying. If you can time things out perfectly and activate things without drawing attention, it really feels like you accomplished something. For those of us who enjoy carnage, success in this game is enough to make up for the flaws until you have to start planning out your next murder. Even if the game truly presented you with enough options for gameplay, the setting itself is enough to bore you. Hospitals aren’t known for being interesting locales. They might work for a horror movie, but not so much for a game. At the end of the day, though, nothing in the game is good enough to make it worthwhile. The graphics are fine, but nothing spectacular. There is definitely some challenge, but I question how much that has to do with good design versus bad programming. Lucius II is not one of the worst games I’ve played, granted. There is fun to be had, if you’re patient and don’t mind a lack of atmosphere. 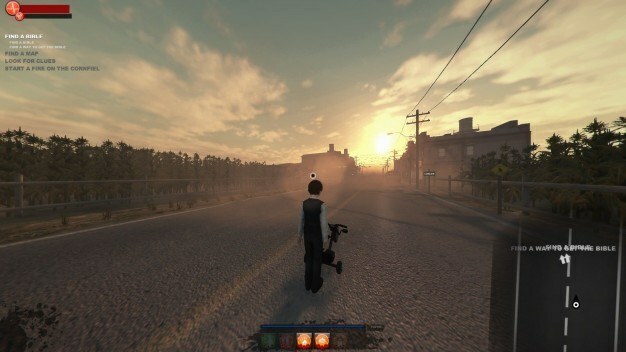 But ultimately, Lucius II is another game with wasted potential. And unfortunately, it’s not worth sticking it out until the end. It gets better, but it’s too little too late. I’d say that it’s worth trying the game if you like the concept, but wait for a Steam sale to make it worthwhile.